Following the passage of my smartphone mode charging wireless, I "lost" my micro-usb port… For the transfer of the files, it so spent under the nose! Because it is not practical to always remove the Wireless charging adapter. That left wireless transfer: bluetooth or wifi… I first use bluetooth: it works without worries, of course, but it's leeennnnt! I therefore changed tactics and went to wifi, thanks to the USB wireless to Sandisk. 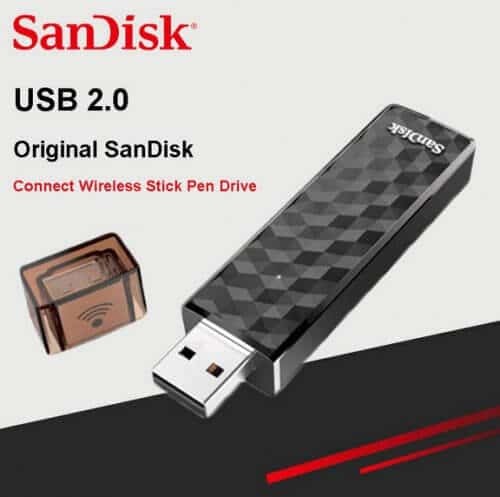 It is relatively simple: it takes the form of a usb key, which is quite long compared to the models of our days (about 8 cm long), with a button to turn on/off wifi. 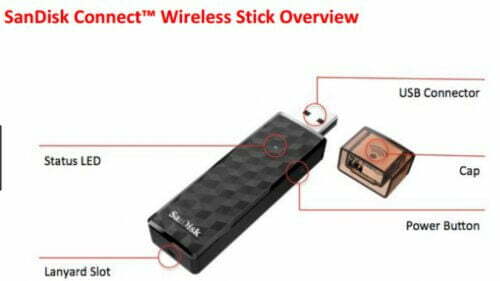 So everything is integrated in the USB key: the antenna wifi, battery and of course storage.